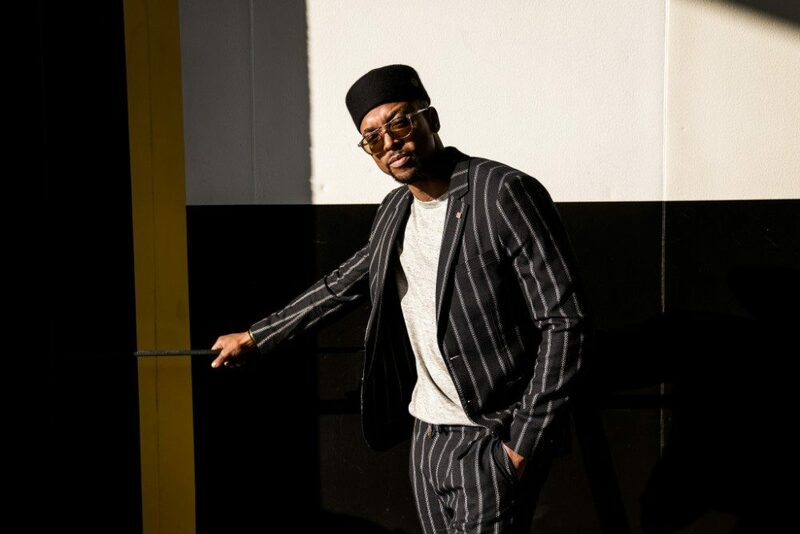 Renovating his home has Maps Maponyane realising how crucial colour is to his state of mind. Whoever thought that choosing a wall colour could be something so complicated? From a selection of hues I’d never even heard of before – eburnean (an ivory tone of white), falu (a deep red shade), xanadu (a kind of green-grey), rhine castle (a slightly darker xanadu along the grey spectrum), wenge (a type of coppery dark brown wood tone) – I needed to pick the perfect one for my recent home renovation project. All of this got me thinking about the importance of colour and light in our lives, coupled by the effect that it has on our moods, and how receptive we are to both of these in spaces. According to the gurus, the emotional effect that colour and light has on our state of mind is more powerful than we think. They are both are vibrational energies and whatever frequency you are exposed to, results in a vibrational response from your body. Your mood influences your perception of colour … and colour does the same in return. I reckon our feelings about colours and how we respond to them is subjective and deeply rooted in our own experiences, both environmentally and culturally. Travel certainly teaches you that societal structures around colour differ – in the West, for example, white is associated with purity, yet it symbolizes death and mourning in parts of the East. When I finally decided on the hues I wanted to adorn my living space, I opted for cooler tones such as darker greys, browns and olive greens that would emit feelings of calm and tranquility. I wanted home to be a place that allowed me to switch off as I stepped into it, rather than one that kept my receptors in a constant state of engagement. It’s that soothing effect I’m after that puts everything into a state of equilibrium. It was much to my mother’s dismay who, looking at what I thought was my beautifully decorated home, exclaimed: “what a pity it is that you went for such dark colours; if you had checked with me you would have known this is going to block out the light and it will make your home look smaller”. Of course, it’s an observation the only comes from a place of love – after all mothers do know best – but also something of a myth, I think. Growing up in South Africa, and then being lucky enough to see many other parts of the world, has made me far more aware of how different the natural light is in different parts of the globe. The African continent possesses that golden light drenched in shades of orange, yellow and red that shines onto all that you cast your eyes towards, even during our winters. It’s a type of luminescence that makes everything appear that much richer with a vibrancy that, if bottled, could be likened to positive energy. I used to think that that kind of energy existed everywhere before I began travelling, but soon realised that in the Northern Hemisphere it’s a completely different story with a different mood altogether. Violet light forcibly squeezes its way through dark hanging clouds that, if one is exposed to long enough, signals unwanted messages to your mind initiating what is widely regarded as Seasonal Affective Disorder, aptly acronymed as SAD. From surrounding spaces in my control, to those further away when I pack and go, I’ve become increasingly aware of these intangibles and they genuinely have a vital impact on how I feel. The West and North tend to be the direction in which we flow, but if it’s happiness you’re after, try more places where the light is gold. Like home.